Whenever we baptize children in the Anglican Church, I’m often struck by the way the liturgy reminds us that we are baptizing them into a complex reality that is both individual and communal. Something is going on between them and God, but sometime is also going on between us and them. They are baptized into the death and life of Christ, but they are also baptized into the communal life of the Church, becoming part of us And while the Christian life is fundamentally a personal life of faith, repentance, obedience and worship, God calls us all to live that life out in a community who believes, repents, obeys and worships. Baptism is a personal reality, but it is not a wholly individual reality. We are all baptized into community. Where Christians live together in community there are mutual responsibilities, like loving another, bearing with one another and forgiving one another. And baptism into community involves responsibility as well. 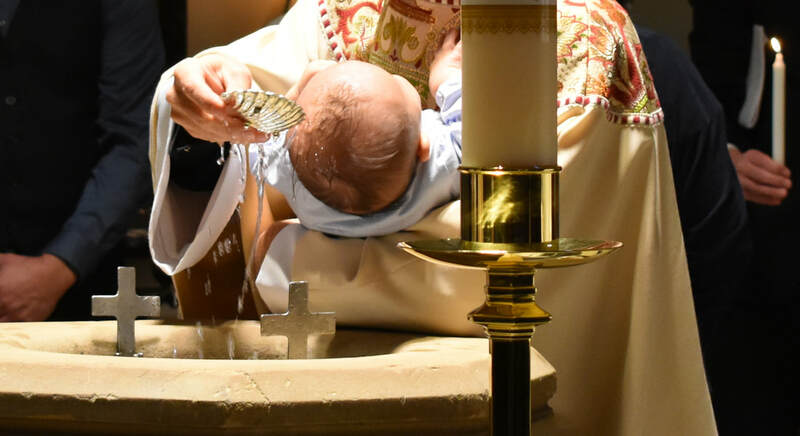 Our baptismal liturgy reminds the parents of those baptized that they are responsible to raise their children in faith, to teach them the “basics” and to guide them into the mature life of a committed disciple of Jesus. The parents serve as a core sphere of discipleship, but they are embedded within a broader community who also share responsibility for their lives in Christ. The children are responsible to come to faith in Jesus Christ as their Savior and commit their lives to him in faithful obedience. But the congregation doesn’t get off the hook in our baptismal service! The parents are not the only active players in their children’s spiritual development. Instead, we all are asked as a community whether we will do all in our power to support those baptized in their life in Christ, and we often loudly and eagerly affirm “WE WILL”. How do we flesh out the promises we’ve just made? I’d like to suggest four major ways that we can support the children of All Saints and their parents in their journey of discipleship. When people speak of spiritual gifts today, the discussion tends to revolve around the seemingly more miraculous gifts of speaking in tongues, physical healing and words of prophecy. And while it’s understandable to focus on these phenomena, the church often disconnects this discussion from a broader understanding of gifts in the New Testament. If we speak about the so-called “charismatic gifts” within a broader context of the general gifts (charismata) that God gives to the church, it allows us to better understand the relationship between fundamental Christian identity and its expression in gifting, and we can see clearly the relationship between individual gifts and their use in building up the Church. At the most basic level of the Christian life, the scriptures clearly speak of salvation itself as a gift (Romans 6:23, Ephesians 2:8). The message of the gospel is God gave us a restored relationship with Him that we did not deserve and could not obtain on our own. Through faith in Christ, we are brought into a new reality, we are literally “In Christ”, and in him we have every spiritual blessing, forgiveness of our sins, and the hope of eternal life with him (Ephesians 1:3-14). As a sign that we have been brought into this new reality, we have been given the Holy Sprit to dwell within us. On the day of Pentecost Peter speaks of the Spirit coming as a gift from God to dwell in those who repent and place their faith in Jesus Christ (Acts 2:38). The Scriptures are clear that the Holy Spirit is given to all those who come to faith and repentance in Jesus Christ, and that it is the work of the Holy Spirit in us that convicts us of sin (John 16:8), teaches us how to understand and apply the wisdom of scripture (John 14:26) and to turn from sinful habits and grow in holy living (Romans 8:12-14).